Building Contractor Eugene, Oregon - Remodeling Contractor based in Pleasant Hill, Oregon. 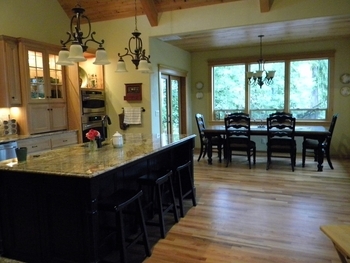 Looking for a home construction or remodeling contractor in the Eugene or Springfield area? Ritchie Homes provides home contracting services throughout Lane County. Whether you need a contractor to remodel your home or build you a custom home, we can help make your dream home a reality. We are hands on custom home builders who work hard to see a project through from design to completion. 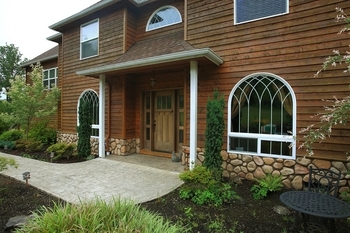 We take pride in building some of the finest custom homes in Oregon. We will work with you from the home design phase to process of plans, from the ground to finish work and detailing. Our extensive industry knowledge and local Oregon contacts allows us to work with you on your home designs and construction to ensure that every detail of your custom home is exactly what you want. It’s this attention to detail in every step of the process, from the home design to completion, that sets Ritchie Homes apart. 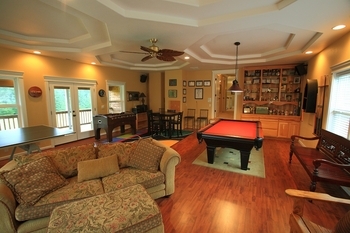 We have an excellent eye for detail when it comes to both remodels and new construction. When we say that Scott Ritchie has a cabinetmaker's eye for details, we mean that every remodeling or new custom home will get the precision and design that only comes from years of experience working in the Eugene area. We work hard to provide the same quality, attention to detail, and craftsmanship in our million dollar homes as well as our more tightly budgeted projects of under a hundred thousand dollars. If you are looking for fine craftsmanship within 50 miles of Eugene, then look no further than Ritchie Homes. We share the same love for Oregon you do, and we want our constructions to match the beauty of Eugene. Remodeling can bring your dream kitchen, bathroom, or bedroom to life, while a new construction from the ground up ensures you get your dream home exactly how you want it. Whatever you're looking for in the Eugene, Oregon area, Ritchie Homes can build it.